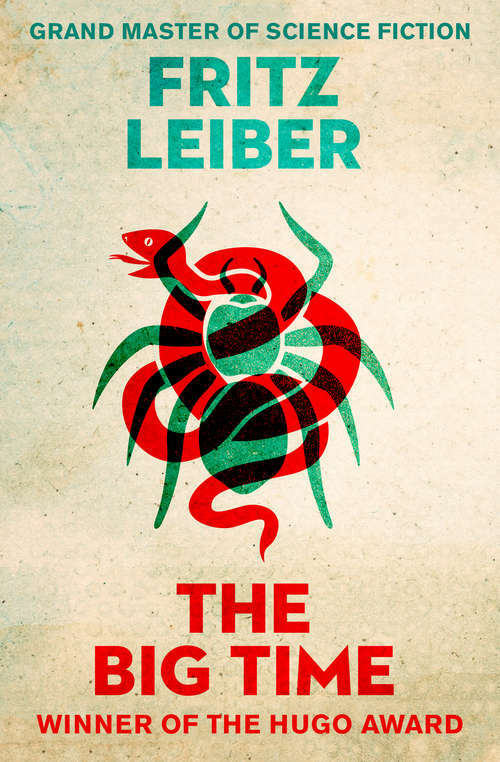 Fritz Leiber (1910-1992) may be best known as a fantasy writer, but he published widely and successfully in the horror and science fiction fields. One of his major SF creations is the Change War, a series of stories and short novels about rival time-traveling forces locked in a bitter, ages-long struggle for control of the human universe where battles alter history and then change it again until there is no certainty about what might once have happened. The most notable work of the series is the Hugo Award-winning novel The Big Time, in which doctors, entertainers, and wounded soldiers find themselves treacherously trapped with an activated atomic bomb inside the Place, a room existing outside of space-time. Leiber creates a tense, claustrophobic SF mystery, and a brilliant, unique locked-room whodunit. In addition to the Hugo, Nebula, Derleth, Lovecraft, and World Fantasy Awards, Fritz Leiber received the Grand Master of Fantasy (Gandalf) Award, the Life Achievement Lovecraft Award, and the Grand Master Nebula Award. The Estate of Fritz Leiber.